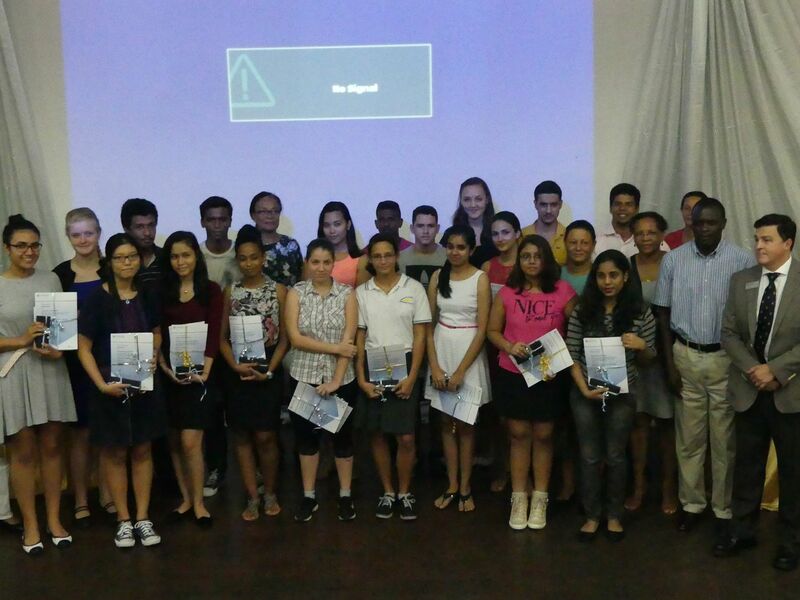 ISS Students Sammy-Jo McGaw, Maria Lefevre, Zhang Jing were among 22 students who were honored during a short ceremony by representatives from the ministry of education, Cambridge University and five different schools as well as proud parents gathered at last Thursday’s Outstanding Cambridge Learner Awards at the Seychelles Institute of Teachers Education (SITE). They were recognised for excellence in their Cambridge International Exams in IGCSE, AS and A Levels examinations late last year. Congratulations to all 3 students on this fantastic achievement, showing that hard work and determination always gets rewarded!